If we get ONE MILLION RSVPs, we’ll dish out free pretzels on March 3rd! RSVP NOW! 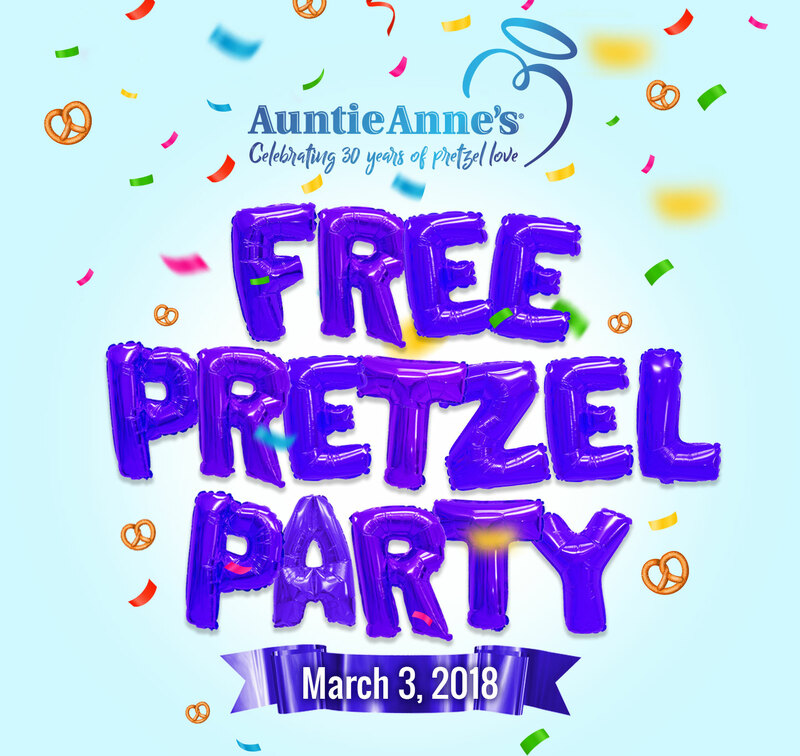 If unlocked, Free Pretzel Party will take place from 10 AM – 2 PM March 3, 2018, at participating Auntie Anne’s locations. One free Original or Cinnamon Sugar Pretzel per guest.